The 25.5 inch wide Paisley Wrought Iron Vanity features a square frame made from laser cut steel and paired with square turned legs. Elegant laser cut scrollwork on the vanity base translates beautifully across many decors and room settings. Proper installation creates a strong base for any type countertop from marble to wood. 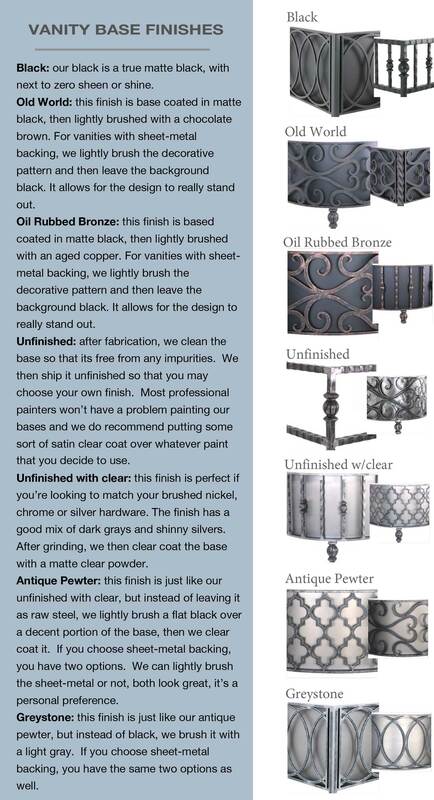 Hand applied finishes include Antique Pewter, classic Black, and Old World. In the master bath, apply a double vanity installation, or in the powder room, as a single vanity. 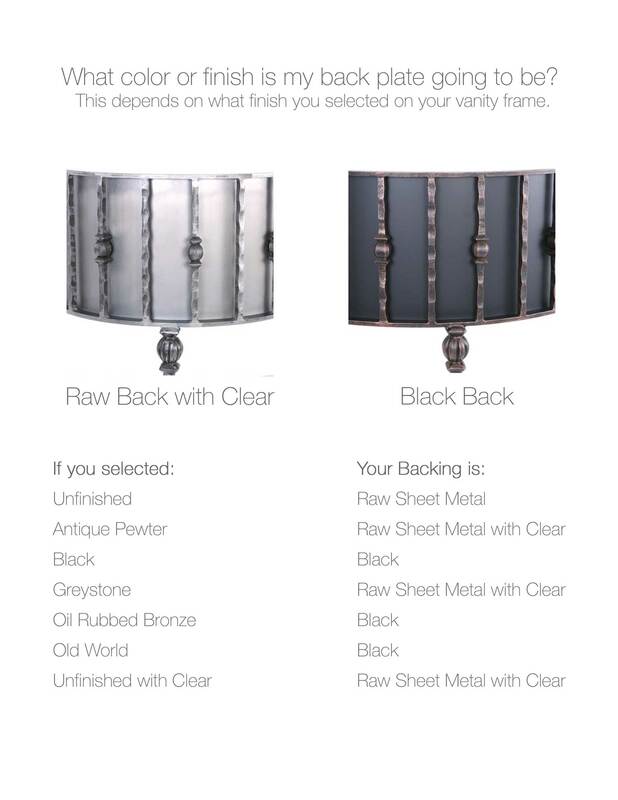 Artisan made in the U.S.A.